Our best choice audio interface for the singer/songwriter who needs to record professional quality vocals and guitar. Take it anywhere, plug in your mic and instrument, and immediately record crystal clear studio-quality audio. 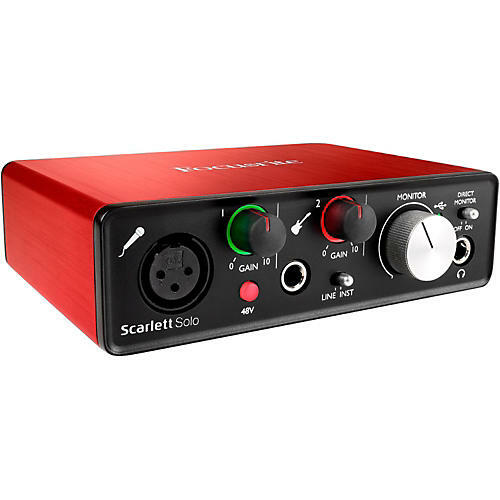 All Scarlett interfaces now come with OVER $1,000 in free software. And with recent additions like Addictive Keys by XLN, alongside monthly additions from the plug-in collective, customers get more than just the bestselling USB interface.